Choose any Color you like for this innovative Layout! Please note that wix.com and other free website builders, are not a web hosting service and also do not allow custom coded Websites to be added. Customize your Website with available options here. Pick a Highlight Color of your choice for the Buttons etc. Upload your own Logo with transparent Background (.png or .psd) to use it with the Header Background. Alternatively upload your own Header Background Image here. 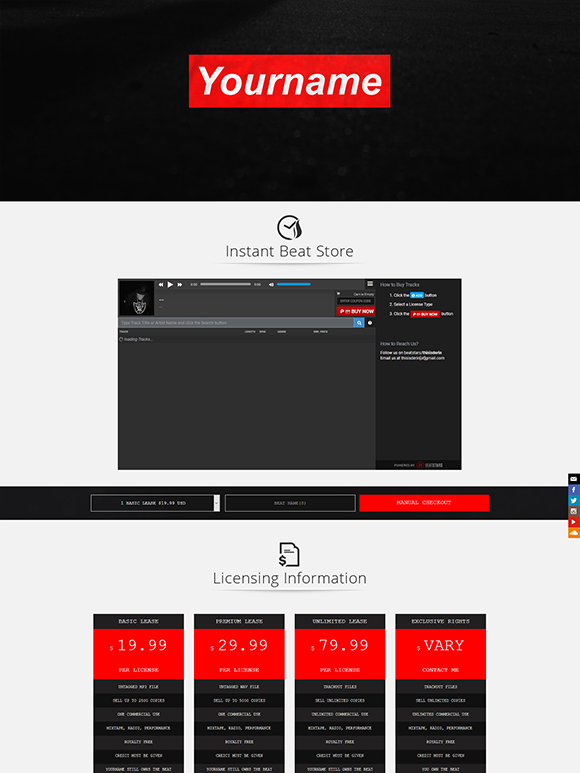 Upload HTML5 Instant Beat Store embed Code. 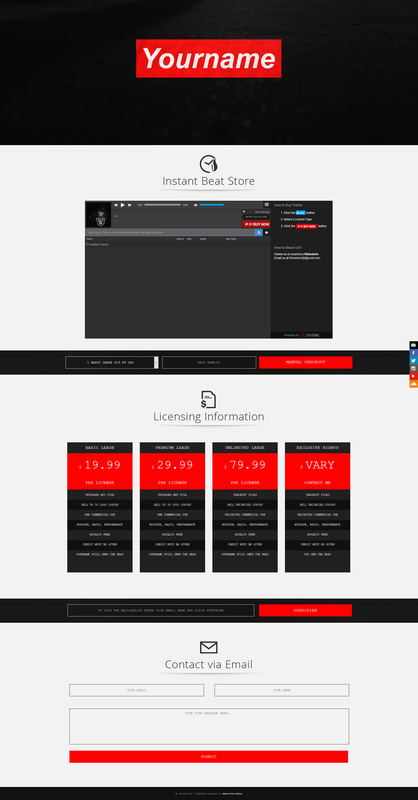 Please upload your HTML5 Widget Code of the one you would like to use (Airbit or Beatstars) as a Textfile. Your different Terms (Basic, Premium, Unlimited and Exclusive). Upload your Mailing List Signup embed Code. Please upload your Mailing List Signup Code (Mailchimp, Aweber, etc.) as a Textfile.